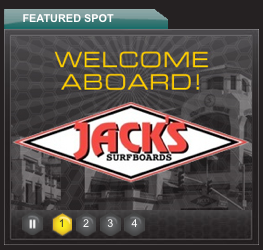 Jack's Surfboards on Qmania Featured Spot! Jack's Surfboards: the Southern Californian standard for quality surf gear. 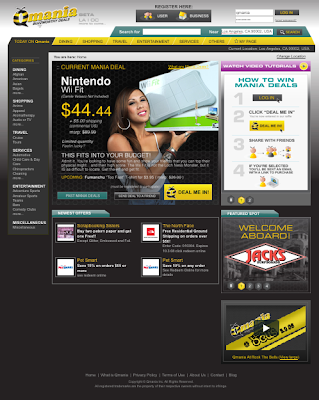 We're proud to feature Jack's on our home page in one of our most coveted spots. The FEATURED SPOT. Since they're one of our favorite local businesses, we are proud to feature them during one of our biggest MANIA DEALS, a Nintendo Wii Fit for $44.44. If you're not from Southern California, be sure to check them out online or next time you're coming through the West Coast at one of their locations. Newer Post Older Post Current page: Jack's Surfboards on Qmania Featured Spot!